Prominent non-Muslim political figures have embarrassed themselves by denying the self-evident connection of Islam to the Islamic State (ISIS) and to Islamist violence in Paris and Copenhagen, even claiming these are contrary to Islam. What do they hope to achieve through these falsehoods and what is their significance? President Barack Obama tells the world that ISIS "is not Islamic" because its "actions represent no faith, least of all the Muslim faith." He holds "we are not at war with Islam [but] with people who have perverted Islam." 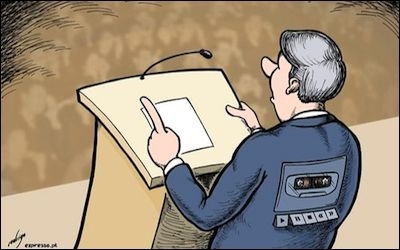 Secretary of State John Kerry echoes him: ISIS consists of "coldblooded killers masquerading as a religious movement" who promote a "hateful ideology has nothing do with Islam." His spokesperson, Jen Psaki, goes further: the terrorists "are enemies of Islam." Jeh Johnson, the U.S. secretary of Homeland Security, assents: "ISIL is [not] Islamic." My favorite: Howard Dean, the former Democrat governor of Vermont, says of the Charlie Hebdo attackers, "They're about as Muslim as I am." Europeans speak identically: David Cameron, the Conservative British prime minister, portrays ISIS as "extremists who want to abuse Islam" and who "pervert the Islamic faith." He calls Islam "a religion of peace" and dismisses ISIS members as not Muslims, but "monsters." His immigration minister, James Brokenshire, argues that terrorism and extremism "have nothing to do with Islam." 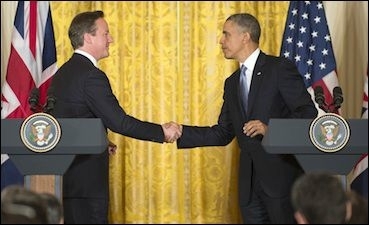 British Prime Minister David Cameron and U.S. President Barack Obama agree that violence perverts Islam. On the Labour side, former British prime minister Tony Blair finds ISIS ideology to be "based in a complete perversion of the proper faith of Islam," while a former home secretary, Jack Straw, denounces "the medieval barbarity of ISIS and its ilk" which he deems "completely contrary to Islam." Across the channel, French president François Hollande insists that the Charlie Hebdo and Hyper Cacher criminals "have nothing to do with the Muslim faith." His prime minister, Manuel Valls, concurs: "Islam has nothing to do with ISIS." Dutch Prime Minister Mark Rutte echoes the same theme: "ISIS is a terrorist organization which misuses Islam." Daniel Cohn-Bendit, a left-wing German politician, calls the Paris murderers fascists, not Muslims. From Japan, Prime Minister Shinzo Abe agrees: "Extremism and Islam are completely different things." This is not a new view: for example, prior U.S. presidents Bill Clinton and George W. Bush also aired their insights about what is and is not Islam, though less assertively. Summarizing these statements, which come straight out of the Islamist playbook: Islam is purely a religion of peace, so violence and barbarism categorically have nothing to do with it; indeed, these "masquerade" and "pervert" Islam. By implication, more Islam is needed to solve these "monstrous" and "barbaric" problems. 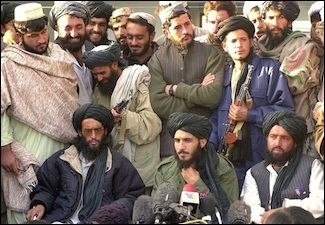 According to non-Muslim politicians these Taliban members have nothing to do with Islam. But, of course, this interpretation neglects the scriptures of Islam and the history of Muslims, steeped in the assumption of superiority toward non-Muslims and the righteous violence of jihad. Ironically, ignoring the Islamic impulse means foregoing the best tool to defeat jihadism: for, if the problem results not from an interpretation of Islam, but from random evil and irrational impulses, how can one possibly counter it? Only acknowledging the legacy of Islamic imperialism opens ways to re-interpret the faith's scriptures in modern, moderate, and good-neighborly ways. Ignoring the Islamic impulse means foregoing the best tool to defeat jihadism. First, they want not to offend Muslims, who they fear are more prone to violence if they perceive non-Muslims pursuing a "war on Islam." Second, they worry that focusing on Muslims means fundamental changes to the secular order, while denying an Islamic element permits avoid troubling issues. For example, it permits airplane security to look for passengers' weapons rather than engage in Israeli-style interrogations. My prediction: Denial will continue unless violence increases. In retrospect, the 3,000 victims of 9/11 did not shake non-Muslim complacency. The nearly 30,000 fatalities from Islamist terrorism since then also have not altered the official line. Perhaps 300,000 dead will cast aside worries about Islamist sensibilities and a reluctance to make profound social changes, replacing these with a determination to fight a radical utopian ideology; three million dead will surely suffice. Without such casualties, however, politicians will likely continue with denial because it's easier that way. I regret this – but prefer denial to the alternative. Related Topics: Radical Islam, US policy | Daniel Pipes receive the latest by email: subscribe to the free mef mailing list This text may be reposted or forwarded so long as it is presented as an integral whole with complete and accurate information provided about its author, date, place of publication, and original URL.